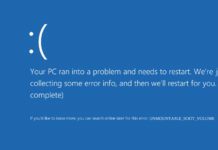 Home Software BSOD Blue Screen How To Fix “CRITICAL PROCESS DIED” BSOD? 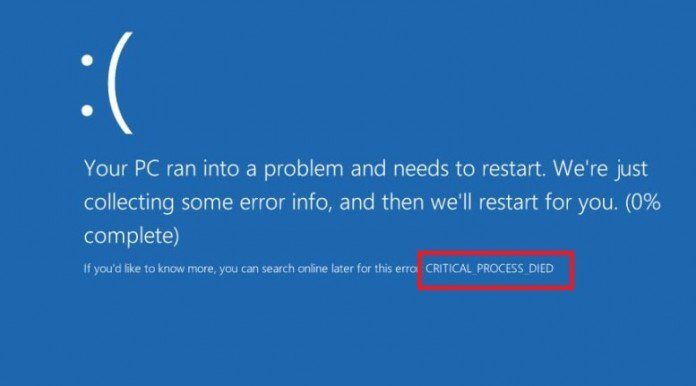 Critical process died or you can say CRITICAL_PROCESS_DIED, both are the same Blue Screen Of Death errors which also known for its bug check error code of “0x000000EF”. Having this problem on your computer fully indicates that your Windows Operating System is having some problem to proceed one or more of your System’s Critical Processes. Mostly this error occurred right after when your Windows got updated or maybe sometimes when you install new Windows OS on your PC. Other than these two conditions, sadly yes this error can be occurred anytime on your computer’s screen even in between of your Windows startup. 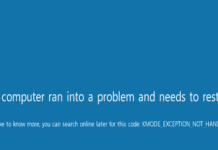 From few days, I getting a lot emails about people having this error on their computer and asks me to suggest something which can fix their computer. The common thing which I noticed in all those received emails, a lot of users having this problem right after when they install Windows 10 or updating Window 10 from Windows 8. So, I replied different things according to their different conditions and mainly the solution what I’ve found is, it’s just a compatibility issue, but sometimes this issue can also be occurred because of some faulty install RAM of your computer or maybe your computer’s Windows got corrupted, and Yes! That’s also happened a lot too. 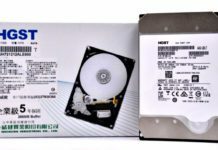 Most of the times you people just install some software or drivers or maybe just update something on your computer, even without knowing that software program what you are going to install or update is actually compatible with your computer or not, and that’s the part where the compatibility issue starts from. First, I want to confirm that right now you can able to open your computer’s windows or not. I’m only asking you about this because around 20% people who having this problem in their computer, got the error when every time they start their computer, mainly in the middle of their windows opening. And that’s the reason why I divided this tutorial into two different parts, mainly according to the different conditions. So, now I want you to follow only those solution who listed under that condition who suits you. #Condition No.1 – What To Do If Your Windows Won’t Open? If your computer opens up normally and you’re getting this error while working on your window then you can skip this step and move to the troubleshooting guide written under the Condition No.2 Solutions listed below after this one. Open your computer by using the Safe Mode. Repair your computer by using the Startup Repair. So, let’s starts with the Safe Mode. Safe Mode is the quickest way to open a windows PC even without getting the error in the middle of the startup. 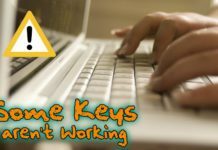 To open you OS in Safe Mode, you’ll need press some particular key again and again on your keyboard only when you first time starts your computer by pressing the power button. If your computer is running right now, then I want you to shut it down. doing that will help to open Advanced Boot Options on your screen and on that screen you can easily select the option named Safe Mode to open your OS in that mode. 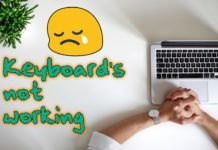 For older version of Windows users, press F8 key 3 or 4 times on your computer startup, mainly before the windows logo appears on the screen. For Windows 8 and Windows 10 users press “Shift + F8 key” on your computer’s startup. After when the “Advanced Boot Options” appears, just select the “Safe Mode” option to open it. If you successfully open your Windows in Safe Mode then I want you to skip all the other solutions mentioned in this “Condition No.1 – What To Do If You…” and move to the Condition No.2 Solutions, I’m only suggesting you this because using safe mode can actually able to run your Windows, which means your Windows boot Manager files is working perfectly and now you’ll to repair your Operating System’s files like drivers, registry and etc. which you can find all in the solutions of “#Condition No.2 – How To Fix This Error On Running Windows?” written below in this article. Or otherwise, if you still won’t able to open your computer by using the Safe Mode then the second thing which I want you to do is to repair your Windows Boot Volume by using a tool named “Startup Repair”, just because of your Operating System’s Boot Manager isn’t working properly. So, Now you’ll need to use your Windows Installations Setup Disk/USB in order to use the Startup Repair Utility, and one more important thing, I only suggest you to use a bootable disc or a bootable pen drive according to the current Windows Version of your Computer, like using Windows 7 Setup Disc if you having Windows 7 installed in your PC or use a Windows 8 Setup Disk if you’re using Windows 8 in your computer. Related Helpful Link: >> How To Make A Bootable USB Pen Drive? First, you’ll need to boot your Windows Disc or USB by using the Boot Menu or maybe by the Boot Sequence Priority. If you don’t know how to do that, these given link below will help you to boot your Disc or a Flash Drive easily. How To Change the Boot Order (Boot Sequence) in BIOS? After booting, you’ll see your computer will ask you to “press any key to boot from CD or DVD/ or USB” to boot the Windows Setup. So, just press any key as fast as you can or otherwise that option will disappear. Note: Move to Solution No.1.2 for Windows 8 & 10 Startup repair. Right after when the booting was done you’ll able the see the Setup’s first menu option on the screen and in that options you’ll need to click on the “Next” button and after that, click on “Repair your computer” to start the startup repair function. After that, it will scan your computer’s drive and shows you your previously installed Operating System. Now Select your listed OS version and click on “Next >” button to start Windows Startup Repair process. If you can’t find your windows listed in there, then you’ll need to follow all the steps given in this suggested link >> How To Fix Unlisted Windows in System Recovery Options Problem? Now, wait until the startup repair gets complete. Right after when the booting was done you’ll able the see the Setup’s first menu option on the screen and in that options you’ll need to click on the “Next” and after that, click on “Repair your computer” to start the startup repair function. After that, it will show you the three options and now you’ll need to select the second one called “Troubleshoot” and then right under the troubleshoot menu, select the third option called “Advanced options”. Now select Startup Repair on Windows 10 or Automatic Repair on Windows 8 to repair your computer. After using the Startup Repair Tool, there are two possibilities which can happen, first, that you Windows start to work again and second, that you still having the same problem of having the error on OS startup. If your computer’s Windows is working again, then that’s great or otherwise, you’ll have to reinstall your Windows Operating System. 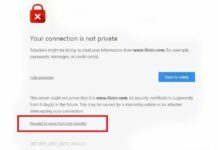 #Condition No.2 – How To Fix This Error On Running Windows? 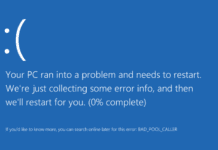 Around 80% this error occurred when you are working on your Windows and sometimes it shows when you are using a particular software, or sometimes it just happened in the middle of anything. 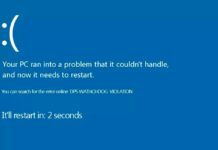 Most of the times this error occurs just because of some compatibility issue, it can be a recent Windows Update or maybe some of your Windows Driver gets corrupted and sadly yes, there are more than these two reasons. Software Compatibility –If this error shows in the middle of when you use some particular software then it’s possible that the software what you are using isn’t compatible with your Windows or maybe that software gets corrupted too, and to fix this the only thing what you can do is to reinstall that particular software. If that won’t works for you, then just move to the next step. 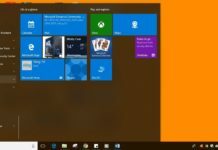 Recent Faulty Update – Sometimes, most people having this issue after when their Windows got updated. In that case, you can go your windows update setting from the Control Panel and uninstall the last update what your Windows installed automatically. If that won’t works for you, then just move to the next step. Windows Update – Or in case, If you didn’t update your Windows recently, then just update it, because this little trick does help most of the times. Microsoft does release hotfix time to time which really helps to improve our Windows performance and fixing this types of error too. So, just open your Windows Update setting from the Control Panel and update your windows to the latest. If that won’t works for you, then just move to the next step. 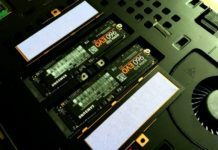 Drivers Update – It’s also possible that your computers or laptops hardware drivers get corrupted too, and the great part is, just updating them can fix this problem. Make sure you update all your computers drivers and you can follow this link which can help you to >>Find And Download Drivers Online. Windows Registry Got Corrupted – Registry is the main key for your whole windows working and performance, due to poor computer system maintenance, you may experience Registry issues and later on lead to various computers error, including this CRITICAL PROCESS DIED error. To fix the registry issue you’ll need to buy some best in class registry cleaner to repair and clean the bad values from the registry database. All the working Registry Cleaner are only available in the paid version but before spending your money, first, I want you to fix the registry issue by using your windows command prompt because most of the times this problem get fixed by just putting a single command in the CMD and then you don’t even have to buy anything. Use SFC /SCANNOW To Repair Windows – Sfc Scan is a great command run by CMD which can help you to repair your Windows by just typing a single command in the Windows Command Prompt. Now you’ll just have to type the command on CMD and sit back until the scan completes and it will repair most of your Windows files including the registry database. Open CMD, as an administrator. Then type the command “Sfc /Scannow” and hit enter. Make sure you don’t close this CMD window until the verification gets 100% completed. Restart your computer and test it, if the blue screen was gone, then that’s good, if don’t, then I think now you should need to buy a Registry Cleaner for your OS. If you don’t have any registry tuner or cleaner in your computer, then install a best in class cleaner in your PC to get the perfect performance and an error free system’s lifespan. Here Are The Two Top Rated Software’s What I Recommend To All My Websites Guest Users As Listed Below. After downloading the registry cleaner, just click on the scan button which will automatically start the full system scan and after that, it will show you every little problem what it found in your computer. After that, just click on the Fix Problem Button to repair everything what it shows in front of you. #Condition No.3 – What To Do If Nothing Works? 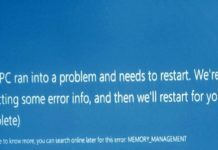 If you still suffering from this problem after doing all the repairing kinds of stuff in your windows, then it’s quite possible that your computer’s RAM might get faulty too, and if that’s happening with your computer then the first thing what you’ll need to do is to test your PC’s ram to find out, does the ram is the reasons for this error or it just some another fault. >>> Ram Test = How To Test PC Ram Is Working Properly Or Not ? 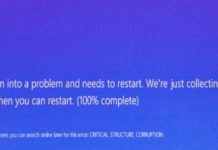 “Critical Structure Corruption” On Blue Screen – What It Is & How To Fix It?